My final two pieces on SXSW were finally published on the Boise Weekly blog. Read my review of Steven Soderbergh’s new documentary on Spalding Gray here. The other piece that came out yesterday was my email interview with hip hop emcee and community organizer Invincible. She was busy down in Texas. 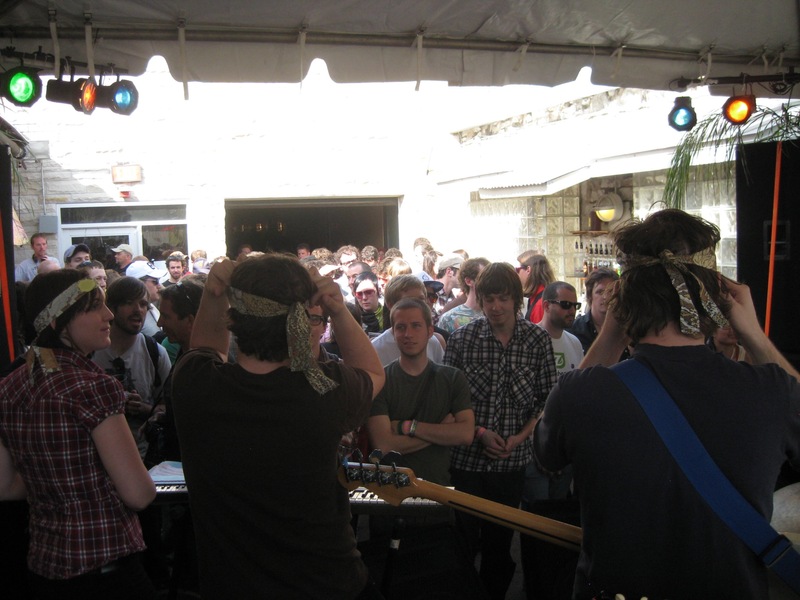 My half-hour special on one of the most fun events of SXSW 2010 aired today on KRFC community radio. SpokesBuzz was a showcase for 6 bands from Fort Collins, CO and was a huge success in terms of audience and exposure. I interviewed a bunch of musicians including Shane from Wire Faces, the dudes from The Northern Way, Elena from Fierce Bad Rabbit, and a bunch of kids from Candy Claws. You’ll also hear SpokesBUZZ creator Dani Grant and the guys behind Project Save Rock & Roll – Bruce and JB. Download or stream THIS FILE. The night before SXSW Film and Interactive got started, I checked out the Shapes Have Fangs show at Mohawk. Turns out Rosa Madriz, the student station manager of KVRX ten years ago when I got my start in radio, books the Mohawk. I also met Christina Garcia who writes about electronic music for Austin Vida. She and I were there for the same reason, to hear DJ Hobo D.
He was rocking between live performances all night. 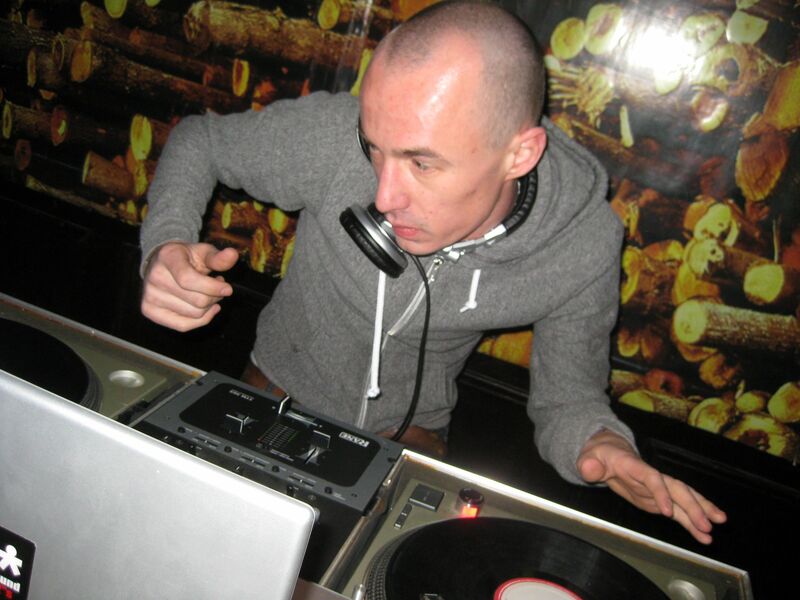 He will DJ the Daily Juice Boat Party on Tuesday, March 16th. Also, Thursday I got to eat my favorite barbeque, natural beef brisket from Ruby’s. And I located a glass of my favorite Austin beer, Live Oak Hefe. I’m saving photos of food and drink for a post later in the trip. I sat down for an interview with radical journalism professor Robert Jensen Thursday. It will appear here and on the radio soon. Meanwhile, these are headlines related to journalism practice, news reporting, propaganda and business models. If I don’t get a chance to publish here every day these next two weeks, I will point to the work I’m doing for Boise Weekly and Common Frequency. You can bookmark my dedicated blog page on Boise Weekly, but the new Common Frequency site is still in beta mode for now. Austin is warm and humid and I’ve already seen a few of my best friends here. The eating has begun. Late night flight into town was followed up by a trip to Taco Cabana for cheap chain food. On my first full day in town I visited Wheatsville Co-Op for the first time since the remodel. Wow. And for lunch I had all the popcorn tofu I could eat, washed down with Austin’s own Sweet Leaf Tea. Later on I ate tacos al pastor at Polvo’s with no camera. Dangerously good. Best Texas beer so far is Real Ale Phoenixx Double ESB. Also digging the lighter St. Arnold Spring Bock. 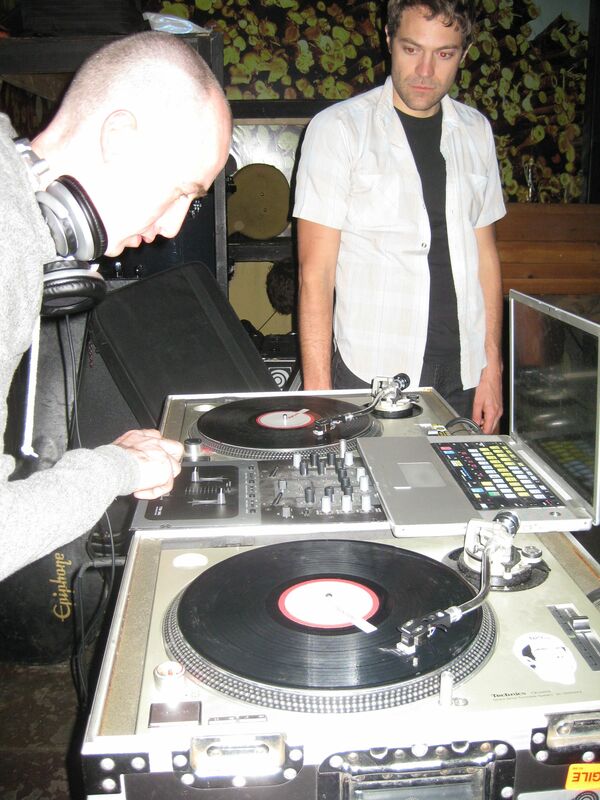 One important note, my mixtapes for SXSW are not available to download from the Boise Weekly site. You have to go here to do that.